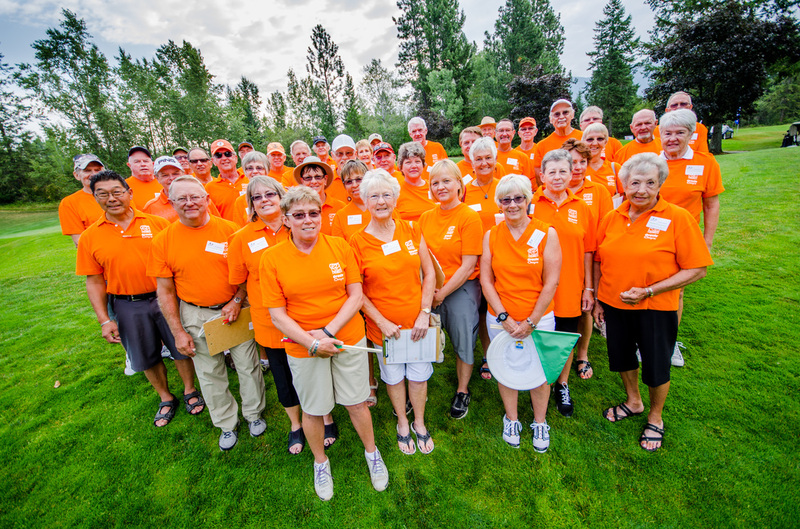 No event can be possible without the valuable support and efforts of volunteers. This event was well received by the participants and was successful due to so many volunteers that came forth to donate their valuable time. On behalf of the players, and my personal gratitude, I thank ALL of you who stepped forth to make this event such a memorable one for all of us in blind golf. THANK YOU SO MUCH!!!! It also takes a special and dedicated person to organize all of the volunteers for an event. Again, I would like to personally thank my volunteer leader, Virginia Harder for her hard work and dedication to making this event successful.. Without Virginia's organizational skills, our event would not have been as successful as it was. "Thank you Mrs H"! I would also like to thank a special sponsor who provides us with apparel to make our volunteers stand out. Oracle Health has been a valuable sponsor to our Canadian Opens in addition to possibly committing to many events in the future. On behalf of our event, our players, and our volunteers, I thank Oracle Health for their support and dedication to blind golf!